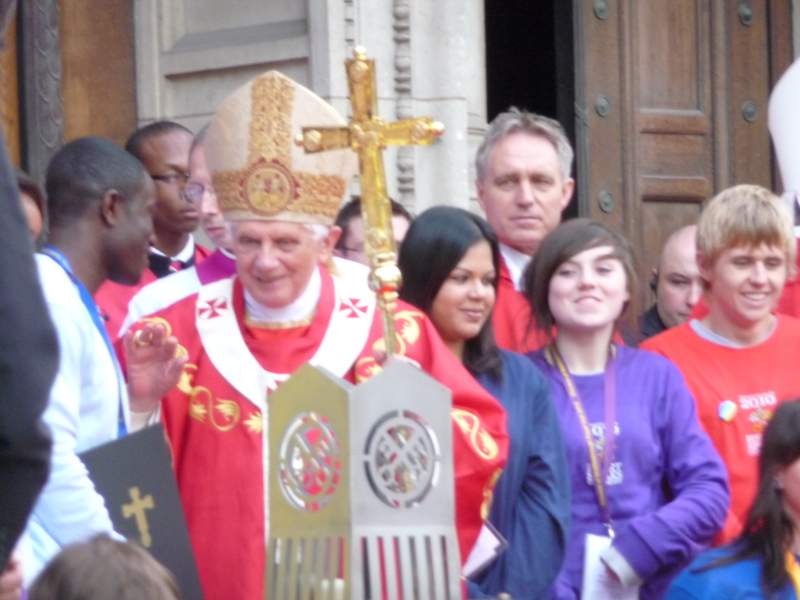 I am sure that I speak for everyone in the parish when I express my pride in our young people who went to London this weekend to take part in the visit of Pope Benedict to the United Kingdom. 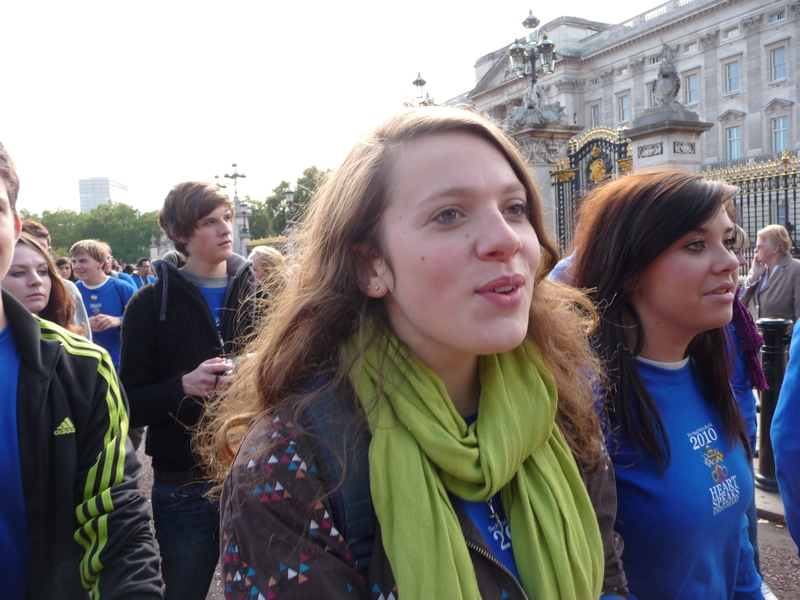 They (and all the young people of our parish) are a credit to us all. 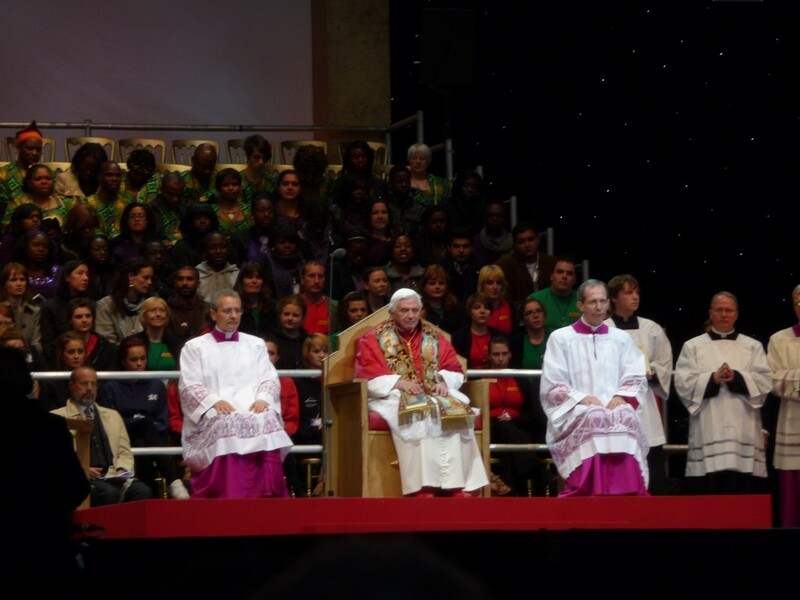 As you can see from this video (taken by one of our young people) they were at the very frount of the crowd of 2,500 young people from all over the United Kingdom. 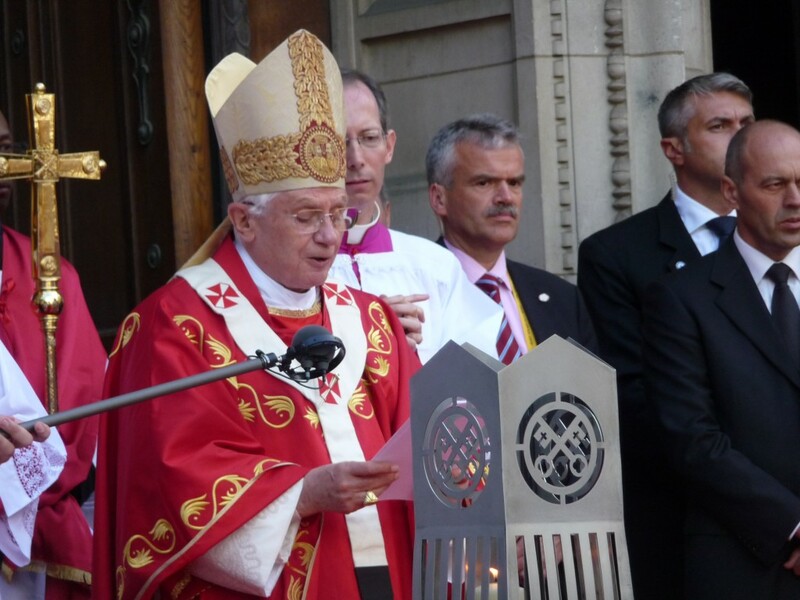 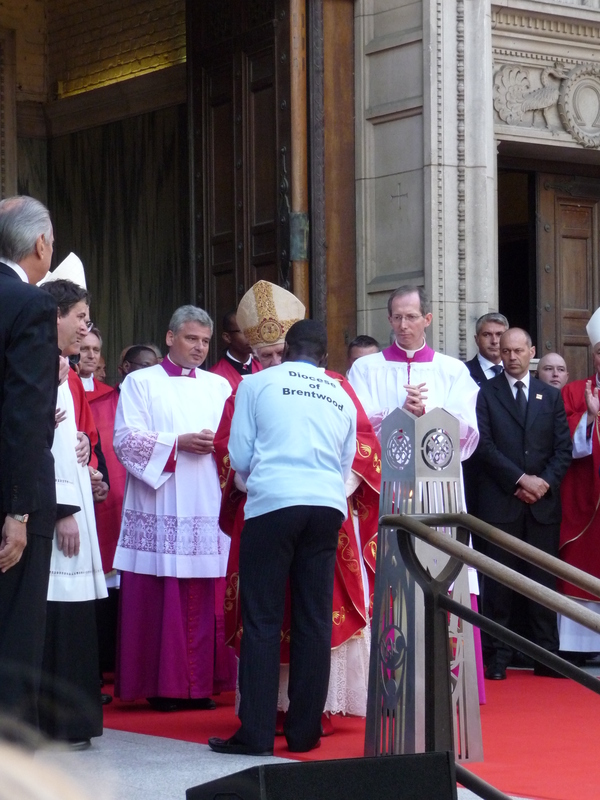 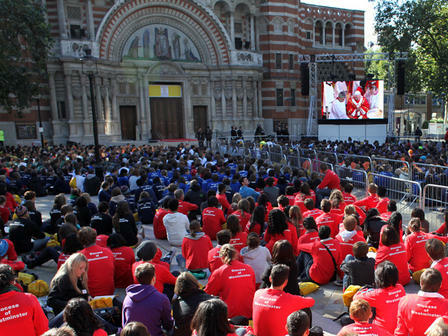 This event took place in the piazza of Westminster Cathedral after the Holy Father had celebrated Mass on the morning of 18th September 2010 . 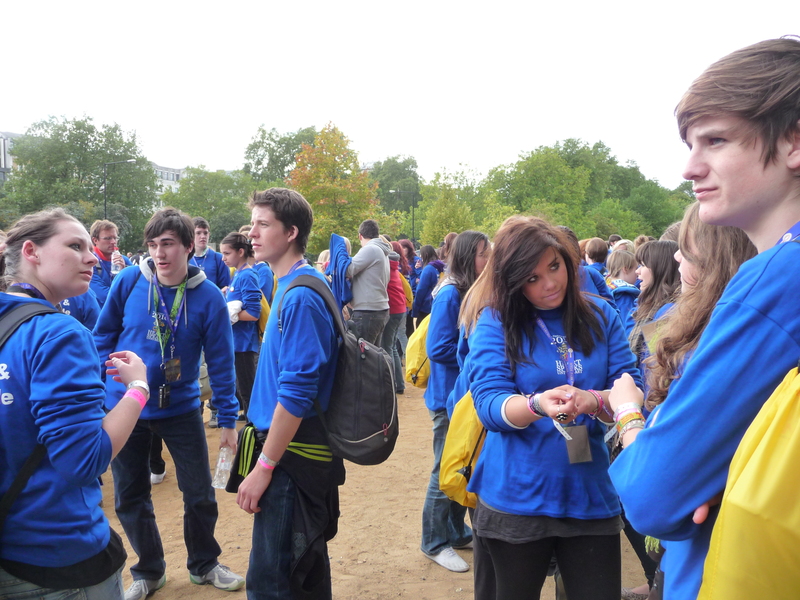 The young people were all in diosesan groups with their own distinctive coloured shirts. 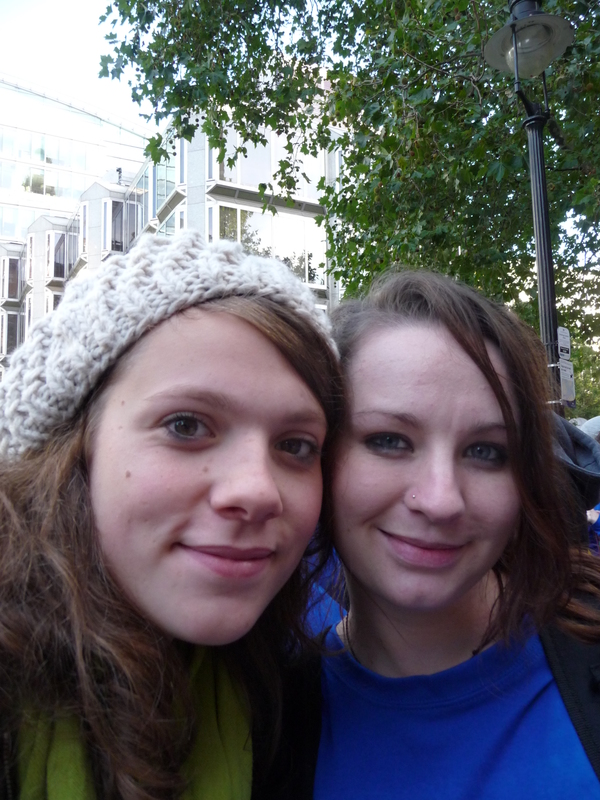 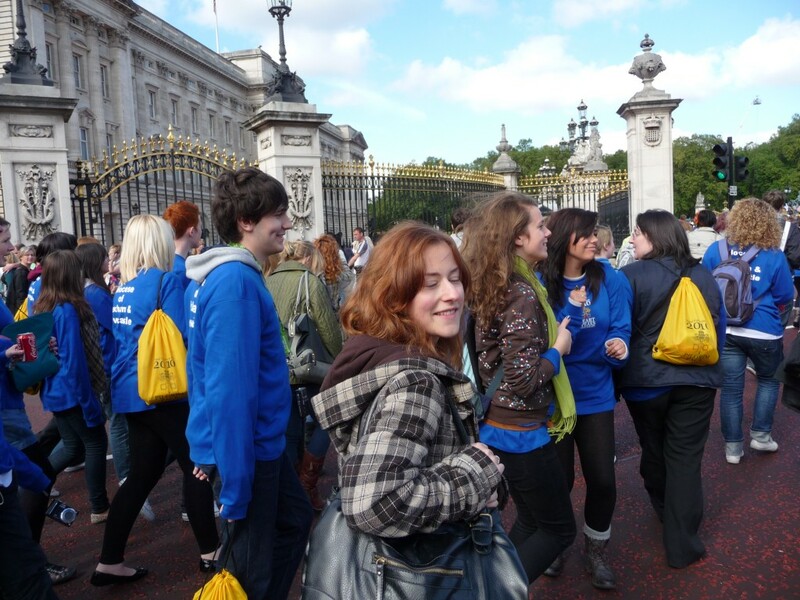 St Robert’s youth wore blue – for the Diocese of Hexham and Newcastle. 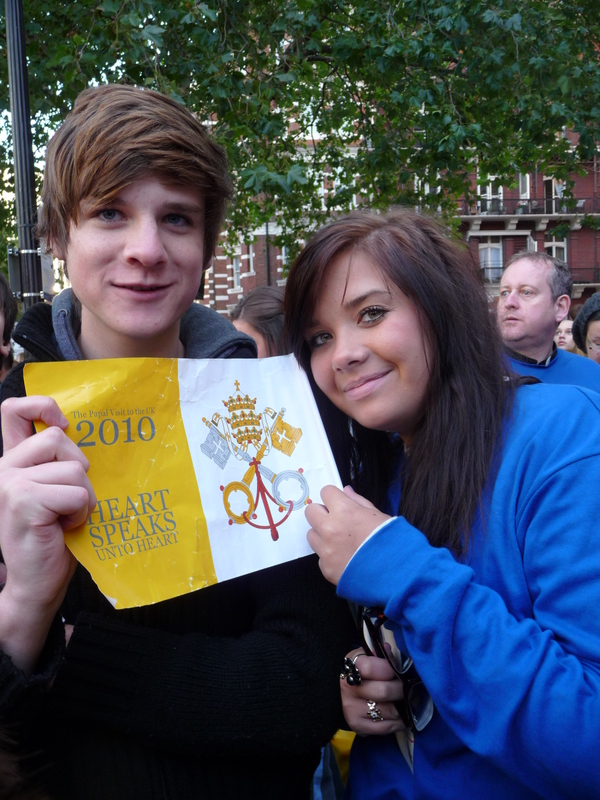 In the video a young man from the diocese of Brentwood greets the Holy Father on behalf of all the young people. 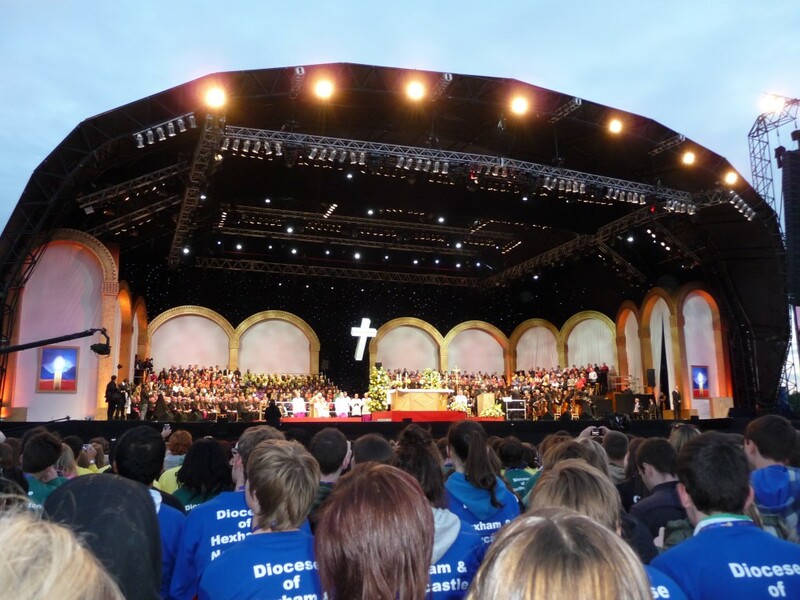 For more information about the event and the pilgrimage from the Diocese of Hexham and Newcastle go to our friends at the Youth Minstry Team – www.ymt.org. 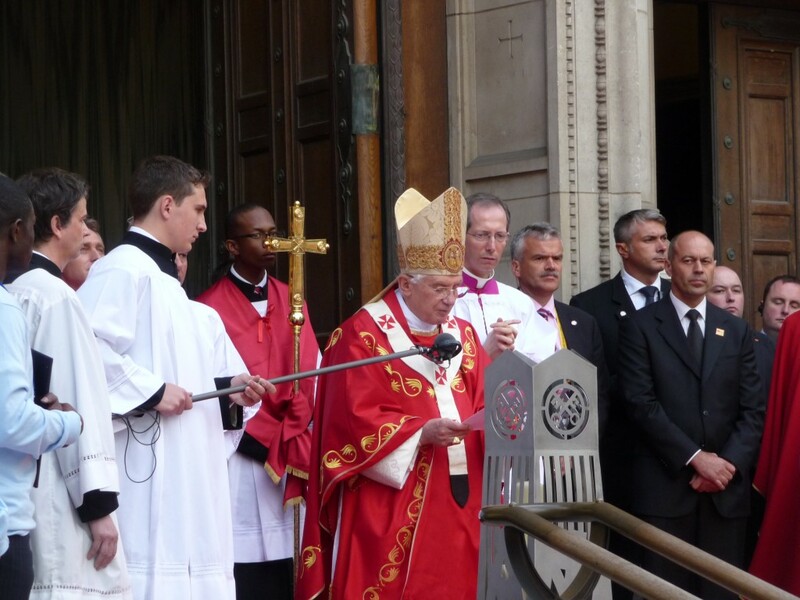 This entry was posted in First Communications on September 19, 2010 by Fr Peter.